Joli Paquet: Let's Get This Party Started!!! Let's Get This Party Started!!! We are so excited to start our Joli Paqet Holiday Celebration! It all starts tomorrow, November 1st. We hope that you will visit us often throughout the month of November. We will be sharing fun holiday tutorials and tips and tricks with you. 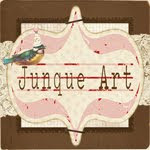 So from the wonderful Joli Paquet artists to you let's kick off the party with a fun giveaway! 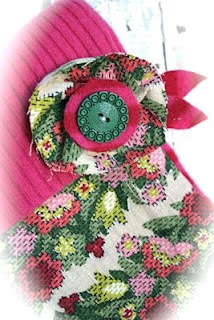 I am giving away a hand made little stocking. I made it from recycled sweaters, vintage fabric, vintage buttons and seam binding. It is about 12" long and would be so cute hanging on a mantel, a door knob or like I have it, hanging on an old door that sits in our entry way. It would also make a wonderful gift bag stuffed with holiday goodies for that special someone! All you need to do is leave a comment on this post by Wednesday, November 5th end of the day to be entered in the drawing. I will draw a winner on Thursday, November 6th and announce it here. Please be sure and share Joli Paquet with your friends! It's going to be a fun month! 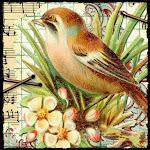 Come back by tomorrow, November 1st for a wonderful tutorial by Lori! 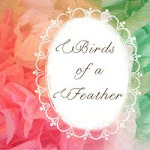 It is super cute and you don't want to miss it! A big thanks goes out to our hostess, Cerri! She has done a great job organizing and getting this event ready! Wow, this is all going to be so much fun! Thanks for the chance to win this darling stocking, too! Well this will be great fun I will be back Nov 1st. Until then please do enter me in the giveaway! Oh I've been waiting for this day to come! I am so anxious to see what you gals have in store for us! Thank you so much for hosting this wonderful holiday treat! I've been waiting for this to begin! It sounds like it will be so much fun. Please enter me in the giveaway and I'll be back tomorrow! what a sweet stocking! Love it! I cant wait untill we can get started!! FUN FUN FUN! I'm looking forward to the beginning of a creative month! The stocking draw is a darling extra! Adorable stocking! I'm so excited for Joli Paquet to start! Can't wait! This is soo nice already. I cannot wait to see Lori's tutorial tomorrow. This is going to be so much fun! So excited to see this party starting! What an adorable stocking! I'd love to give it a good home! m looking forward to all that is to come. Love your stocking. I am so excited I can't wait!!! I have the button up on my blog and I am all ready to learn!!! Thanks again this is such a treat!! that is SO cute Donna!!! OHMYGOSH!!! sorry Cindy!!! i thought that email was from Donna...AND i just woke up from my nap and i am a little woozy...i feel silly!!! your stocking is adorable!!! Can't wait to see what you have planned. This stocking is just sweet-as-can-be! I'm looking forward to all of the Holiday Goodness to come! The Stocking is adorable... thanks so much for a chance to win it! What a darling stocking. I've been so looking forward to November! I'm so excited to see all of the wonderful kits. The stocking is so adorable. This is so sweet, especially to begin with a giveaway. I can't wait to see what wonderful things you all have planned for us. Thanks for putting this together. I have so been looking forward to this. Love the stocking!! Can't wait to see what is in store for us tomorrow!! Yippe! A give away for your kick off! sign me up! what wonderful inspiration! I've been waiting for this! This is going to be wonderful! I am so excited to start! Thank you! It is very cute. This is going to be such a fun month. Thanks for doing this. WooHoo!!! Nov. 1st. I can take down the Halloween decorations....bring on Christmas. 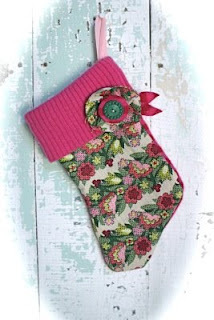 Love the stocking and love that it is made from recycled materials. Thanks for all the fun to look forward too! 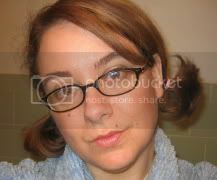 Jodi B. Looking forward to the month ahead- checking out the tutorial was the first thing I did this morning after waking up!! I do believe this is gonna be loads of fun! Oh so fun! Thanks so much for the giveaway! I am so excited it is beginning! Thank you for the chance to receive a wonderful stocking! I plan on coming back every day to see what fun is in store! Wow, this will be fun! Can't wait to see whats in store for us! The stocking is adorable! This is so wonderful! Please enter me for the cute stocking. 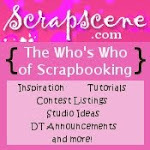 my oh my what a blog you have !!! 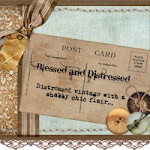 Great tutorials and lovely giveaway...Count me in,Kepping fingers,toes and all in between crossed. I just read the tutorial about the snowman box. That's something I can do so I just might give it a try. The give-away stocking is very cute. I envy anyone who can do such work. I am a klutz when it comes to anything involving sewing. Thanks for sharing. I'll be back! 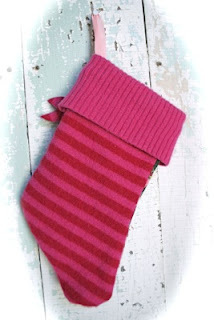 Would love to win this lovely stocking! How gorgeous! Looking forward to all the tutorials. How generous of ya'll to offer them. Thanks so much! November is going to be so fun! Hi! 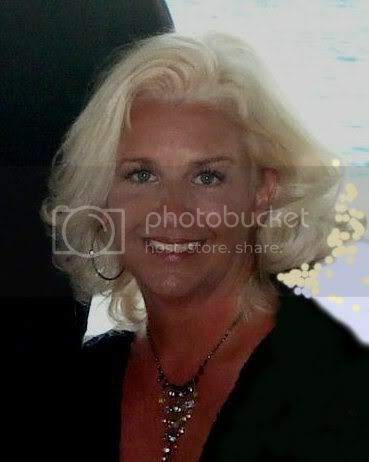 I just found this site from Donna's blog (Under The Red Roof). I can't wait to come back and see the beautiful projects you'll have. The stockings are goregous too! The stocking is so sweet! This is a wonderful idea of sharing for the holidays. Kudos to all you are part of it. Look forward to all the holiday fun and a chance to win! I'm excited about this! and I love the little stocking! I'm so excited to see and share in all the creative goodness! So excited to see this kicking off! A 2nd year of what I hope becomes a great tradition! SO fun! Thanks for all the holiday inspiration. I am off to see all the posts I have missed already! Eeekkk. . . Thanks for giving us these many varied treats. I have had so much fun checking each day for a new troject!!! What a fun way to get in the Christmas gift making mood!!! I am so excited about this endeavor! I cannot wait to check in each and everyday this month!! I keep looking-I can't stop myself! Please enter me in the giveaway! Oh I am so excited for all these goodies! I just have to get to the store for some supplies so I can make those yummy projects! Thanks so much!